Single Volcano Erased Years of Carbon Dioxide Reduction Efforts-Fiction! - Truth or Fiction? A viral email cites a claim by Australian geologist and professor Ian Rutherfod Plimer that one volcanic eruption in Iceland in 2009 released enough carbon dioxide to negate all human efforts to reduce carbon emissions over the last five years. This eRumor is not true. Curtin University of Technology Professor Fred Jourdan told ABC News that the eruption in Iceland emitted a small amount of carbon dioxide. “In fact, most recent estimates show that the flights that were grounded by the eruption would have emitted about twice as much carbon dioxide as the volcano itself,” Jourdan said. A quick glance at scientific data on carbon dioxide emissions further disproves this eRumor. According to the Environmental Protection Agency (EPA), humans reduced carbon dioxide emissions by about 11 percent, or 806 million metric tons, in the five-year period from 2007 to 2012. 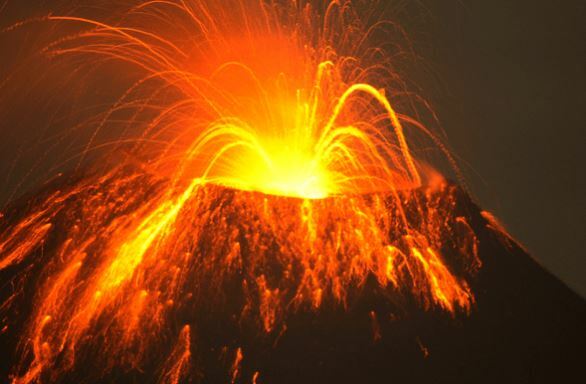 The largest volcanic eruption of the 20th century, meanwhile, which was larger than the eruption in Iceland, emitted 42 million metric tons of carbon dioxide, according to ABC News. Iceland’s Volcanic Eruption vs Control of CO2 Emissions !!!!! Ian Rutherford Plimer (born 12 February 1946) is an Australian geologist, academic and businessman, and professor of mining geology at the University of Adelaide. You will appreciate his take on climate change (aka: global warming). If you have read his book you will agree, this is a good summary. since its first spewing of volcanic ash has, in just FOUR DAYS, NEGATED EVERY SINGLE EFFORT you have made in the past five years to control CO2 emissions on our planet – all of you. Of course you know about this evil carbon dioxide that we are trying to suppress – it’s that vital element that every plant requires to live and grow, and to synthesize into oxygen for us humans, and all animal life. emission savings you have accomplished while suffering the inconvenience and expense of –driving Prius hybrids, buying fabric grocery bags, sitting up until midnight to finish your kid’s “The Green Revolution” science project. Throwing out all of your non-green cleaning supplies, using only two squares of toilet paper, putting a brick in your toilet tank reservoir, selling your SUV and speedboat, vacationing at home instead of overseas, nearly being hit every day riding your bicycle, replacing all of your 50 cent light bulbs with $10.00 light bulbs . .. . well, all of those things you have done have all gone down the tubes in just four days. The volcanic ash emitted into the Earth’s atmosphere in just four days- yes – FOUR DAYS ONLY by that volcano in Iceland, has totally erased.